Testimonials- See What My Clients Have Said About My Real Estate Services. My goal is to make the process of buying, selling, or owning a home efficient, enjoyable and rewarding for you. As a first time home seller and unfamiliar with the process, it was such a relief to have Lisa Tollis as my agent. From the first visit, before I even signed any paperwork, she arrived with an organized portfolio, had already done her research on my home and was completely prepared. I knew at that moment that I was going to sign with Lisa and have her represent me. I had a sense of relief in speaking with her from the very beginning. She came up with an organized plan and her recommendations and advice were greatly appreciated. She made a very stressful situation better than I ever anticipated. I found Lisa to be an extremely organized, ethical, friendly and efficient professional. My texts and phone calls were returned promptly and she kept me informed every step of the way. I cannot stress enough how fantastic Lisa is and I would highly recommend her to anyone buying or selling their home! Over 22 house viewings in 4 days- and 2 offers, you stood by us for all of it. Effective communicator, professional, compassionate, dedicated, respectful, trustworthy and above all else approachable. This was the start of the next chapter of our lives- a first home and most importantly we needed to find a chimney for our little girls first Christmas, how else does Santa get in the house? We will never forget the call.... we were in competition for the second time, it was a lazy Saturday morning, we were all in the family bed: Myself, Brian, baby Elle (and our cat Mona Lisa) laughing about something- then the phone rang,it was Lisa. Brian and I had tried to forget the fact that yet again we were awaiting word, but this house we fell in love with- sleep we didn't get. We exchanged a quick glance and had a quick silent debate about who should take the call, I answered : ' I have great news!.... you got the house' . Now the exciting reality sets in. That was just the start, the concerns that came up with the inspection, taking a chance, you worked with us on our ideas, your perspective, your suggestions, what you've seen that had worked and what didn't, your were aggressive when you needed to be and patient the rest of the time. The hand holding, the walking through paper work, the many 'what if' questions I had. At the end of the day- we were able to skip the starter home and move to Old Stoney Creek, taking a chance on a really great older home with your words of encouragement with us from beginning to end: 'when you find your house, you'll know' ...and we did. Thank you Lisa- for everything, for all of it. We had a wonderful experience dealing with you on the sale of our home. Your expertise, honesty and integrity in assembling all the information in your Comparative Market Analysis, and your presentation to us was an eye opener. Also, the way you guided us through all the process of listing, and negotiations was amazing. We still can't believe we sold our home in 8 days. "You are professional, yet personable and I will highly recommend you to anyone looking for a realtor." Thank-you for making this process pain free. "As first time home buyers we had a lot of questions. Lisa was informative, and made the process very easy! She put a lot of effort into finding and showing us houses, and was always a phone call or email away. Lisa looked after every detail, and always let us know what needed to be done. She is very personable, caring, and we highly recommend her!" Recently we made one of the biggest moves in our lives when we moved from Callander, Ontario to Hamilton, Ontario. When we approached Lisa to help us with this move she invited us to her office where she queried us about our desires. We let her know that we were interested in adult lifestyle communities and she kept this in mind throughout . We feel that she listened to and considered our needs in all of her dealings with us. We started working with Lisa in September of 2009 and completed our move in July of 2010. Throughout that time we found Lisa to be very patient. She provided us with appropriate listings via e-mail over that period of time and sent e-mails to see how we were doing with the sale of our house. She gave us good advice about selling our home before making offers in Hamilton. This ensured a more desirable offer in Hamilton. Lisa was very willing to show us properties that we wanted to see, even though she knew we would be extremely unlikely to consider these as our home. When showing us properties she was always on time or early for our appointment and we could tell that she had done her homework finding out information about the listings we were to see. At all times we found her to be personable and friendly never rushing us or pushing us to consider something we did not want. Once we had made our home selection Lisa was helpful with suggestions regarding local resources to assist us to settle into Hamilton. Three weeks after our move she came over to see how we were and to see what we had done to personalize our new home. We felt that she really cared about us. We found Lisa to be very knowledgeable about real estate. She was always reliable. As well her patient friendly outgoing manner made her very easy to talk to about our concerns. We would not hesitate to recommend Lisa to anyone who needed a real estate agent. In fact we have already done that. When we first decided we wanted to move we called Lisa Tollis to discuss what steps we need to take to get our home ready to market. Her suggestions were very helpful, so several months later when we were ready to start the process of selling our home and purchasing another we knew to list with…Lisa! The stress of selling and buying a home can be huge but with Lisa’s expert knowledge on how best to market our home, along with her positive attitude, wonderful patience and constant reassurance she kept our stress level from becoming overwhelming. Lisa was always accommodating to our families busy schedule, always available to answer any question or concern we had, no matter how trivial it was and her frequent updates confirmed to us we had the best sales agent working for us. Lisa truly cares about her clients and helping them to find their dream home. We cannot thank Lisa enough for all of her hard work and dedication which was instrumental in helping us sell our home and find our new dream home. Lisa is a true professional who is devoted to her clients and a pleasure to know. We would recommend that everyone ‘List with Lisa’. Lisa made the selling of our home a very enjoyable and stress free experience. She did a great job of promoting, showing and keeping us up to date every step of the way. We'd recommend her to anyone. "We meet some people for a short period of time but yet they have a life time impact on us, one of those is a Real Estate Agent." We decided to sell our house private due to the negative experience with Realtors over the last few years, meantime were searching for a larger house for our growing family and spotted potential properties on the MLS website, that is how we met Lisa. It took us time to find the house which meets most of our requirements, during this "long" time Lisa was always there. She was always on time, had the answers to our questions and guiding us consistantly in a professional way throughout this journey. I am an Architect and worked in Facilities Management, Emma is a school teacher and Piano instructor and we worked the last 20 years in many countries. We met professional people, knowledgeable, genuine and sincere, but very few over those years who have it all, certainly Lisa is one of them, that is why we ended up selling and buying with her! Yes, we never thought that we would trust a Realtor anymore, but dealing with Lisa left us with no option than to change our mind and realize that good Realtors still exist. We proudly recommend her for our relatives and friends, and also for any person looking for a punctual, quality and professional Realtor who will significantly impact the rest of their lives. We just wanted to let you know how much we enjoyed working with you. Your warm heart and kindness will never be forgotten. We especially appreciate your understanding and compassion during our difficult loss. We will never hesitate to recommend you to anyone who needs an agent. We wish you all the best and hope we can Keep in Touch! Lisa fulfilled all of my expectations. She was very knowledgeable about the market and provided a solid marketing plan, along with a high level of personal service. Lisa truly cares for the individual client and their needs The outstanding advertising campaign ensured the right buyers were attracted, resulting in an excellent price in just two weeks. In selling my home and purchasing another, she made the whole process stress free and straight forward, and always went the extra mile - nothing was too much trouble. Lisa gave total commitment from the first moment, and worked closely with the other realtors, lenders, inspectors and lawyers through the closings - and beyond. 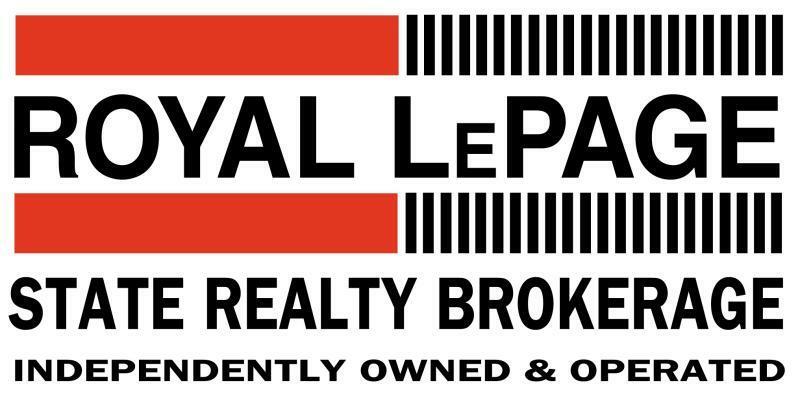 Congratulations Royal LePage for having agents like Lisa Tollis, and the quality service she and your team bring to the profession. Lisa, a heartfelt “THANK YOU” - knowing and working with you is a pleasure! 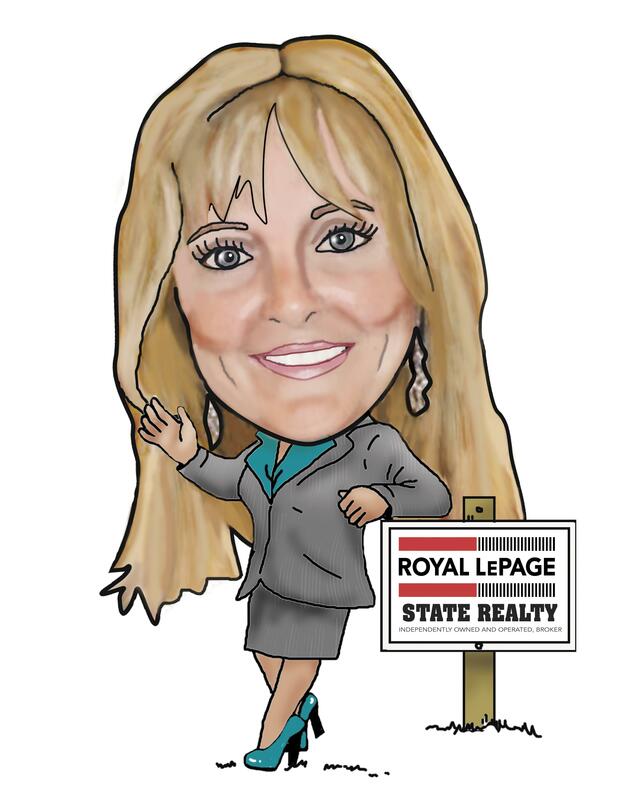 It has been a pleasure dealing with all of the excellent team of professionals at Royal LePage State Realty, and in particular, my agent, Lisa Tollis. "As a first time homebuyer I wasn't sure what I was getting into, didn't understand the home buying process and had no idea what I wanted in a home. You took the time to explain the small points and made sure I was comfortable with each step we took. I appreciate your hard work and the way you accomodated my needs".
" Inviting Lisa to sell our home was a very good move. Lisa is not only a warm good person, she is an excellent real estate agent. Lisa was working very hard during the process of selling our home, she would advertise in newspapers, websites, real estate magazines, prepare brochures and have open houses. Lisa came well prepared and we had a great success in selling our home." "Lisa is trustworthy, sincere, hardworking and has excellent communication skills. She will make you a happy person in no time." "Why call another agent when Lisa is the best!" "Thank You so much for selling my home and the attention to detail you put in. It was that detail that sold my home so quickly. I would highly recommend you! " "Thank You For All Your Hard Work And Dedication". "We Love Our New Home And Could Not Have Done It Without You". "We would like to take this time to say thanks for all your hard in helping us find our first home. ""You listened to what we wanted in our home and gave us many options. You really seemed to care and never gave up searching until we were happy. During the process you were more than a real estate agent, you were a friend. So once again thank you, our new house has become our new home." "A Thank You from us all for your hardwork, dedication and commitment in marketing and successfully selling our home. You remained positive and optimistic when others removed themselves, treating us with respect and professionalism.Thank you for being there and listening to our worries and helping us through the anxities.You are "first class" in what you do and we are forever grateful you were "our" agent!" "We would like to take this opportunity to say thank you for a job well done. You have proven to us that you are indeed a great Sales Representative, one who is trustworthy, tremendously patient and respectful of your clients. We would not hesitate to recommend your services to our friends and families. We are certain that we will be asking for your service in the future". "Once Again, Thank You for helping us in finding such a beautiful home, one we will enjoy for years to come". readily available. You made our home buying experience very enjoyable." "We cannot thank you enough for all of your hard work, patience and time spent with us in finding our dream home. When we first met you at an open house and we began talking with you, we knew through your kindness and professionalism that you would help us find the home we were looking for. You made our search very enjoyable and our purchase very easy! You were always there when we called you and you helped us through every step. So again, we thank you Lisa for all you've done to make our dream come true. You will always be welcome in our home! 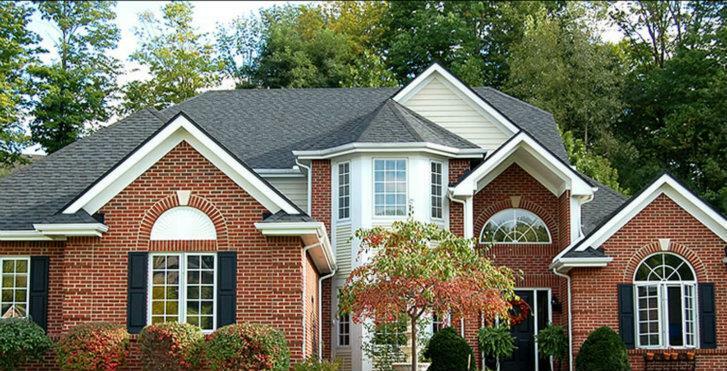 We will highly recommend you without hesitation to anyone in search of a great realtor! " "I heartily recommend Lisa Tollis without hesitation. Buying my first home could have been a very stressful endeavour. However, Lisa made it stress free. She listened to what I wanted and not once did she waste my time with properties that did not meet my criteria. Lisa was never pushy and always offered constructive advice. At all times she was pleasant, confident and professional. " " I recommend anyone looking to buy or sell a house contact Lisa Tollis for their real estate needs. " " I sure am glad I did! " "I want to thank you for all the time and effort you put into helping us find a house. The first day I called you I had called a few other agents and you were the only one that could take the time to follow up. We could not have done this with out you. " "This house means more to us than you can Imagine. Thank you Lisa." "Lisa was great in helping us find a home." "As we were looking, she would notice things good and bad that I didn't see. I appreciate that she didn't use hard selling techniques with us and took the time to show us as many homes as we wanted to see." "Buying our first home has been a Learning Experience to say the least and Lisa you have been fantastic. From the day we first spoke to you, you have given us all the information and resourses needed to make informed decisions at every stage of this process. You have been extremely patient, very well organized and readily available to view properties and help us in anyway." "Thank you again for all your time and effort." "On behalf of our family, we would like to express our heart felt gratitude and appreciation for your efforts in helping us find our home. Your overwhelming sense of going above and beyond to meet our needs will never be forgotten. You have left a definite impression on our family.